Karlovo Museum of History is housed in the former Elementary School for Boys built in 1871. It is located near Vasil Levski Square, across the St. Nicholas Church in the historic quarter of Old Karlovo - an architectural and urban area preserved since the Revival in the centre of the town. Some of the most valuable single monuments of culture can be found here alongside the richly landscaped yards of the Karlovo Revival period and numerous old fountains and wells. This comprehensive architectural ensemble of authentic buildings provide excellent opportunity for visitors to immerse in the unique atmosphere and beauty of the town of Karlovo. The Elementary School for Boys is among the most prominent architectural samples of the Revival and it is of paramount historic value. A number of notable public figures, enlighteners, and revolutionaries from Karlovo studied here. The building is one of the Karlovo signature places related to the Apostle: it was built on the same plot where the Karlovo Mutual School had stood and where Vasil Levski had studied from 1846 until 1848. The centennial museum houses hundreds of exhibits dating back to prehistoric times, antiquity, Middle Ages, Revival and modern times. 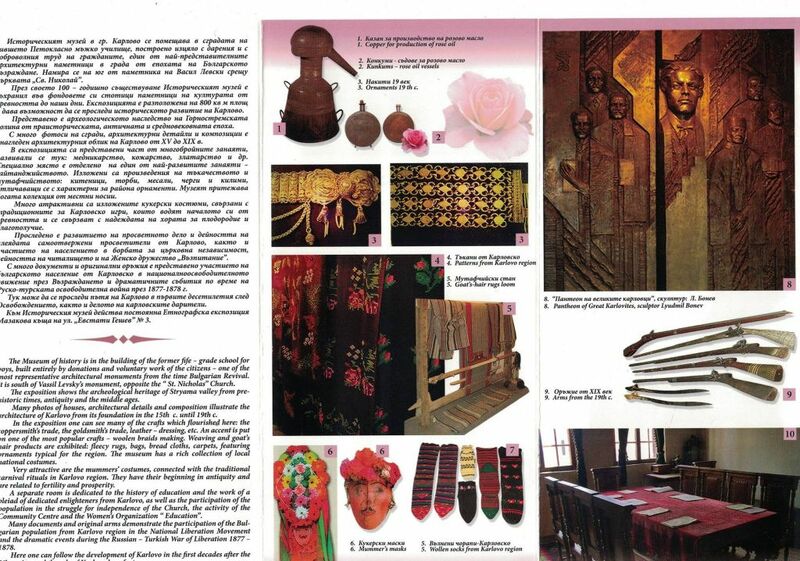 Visitors can touch upon these testimonies of ancient and rich history and learn about the development of the town and region throughout the centuries. A visit to the museum will take you back to the authentic atmosphere of the Revival. 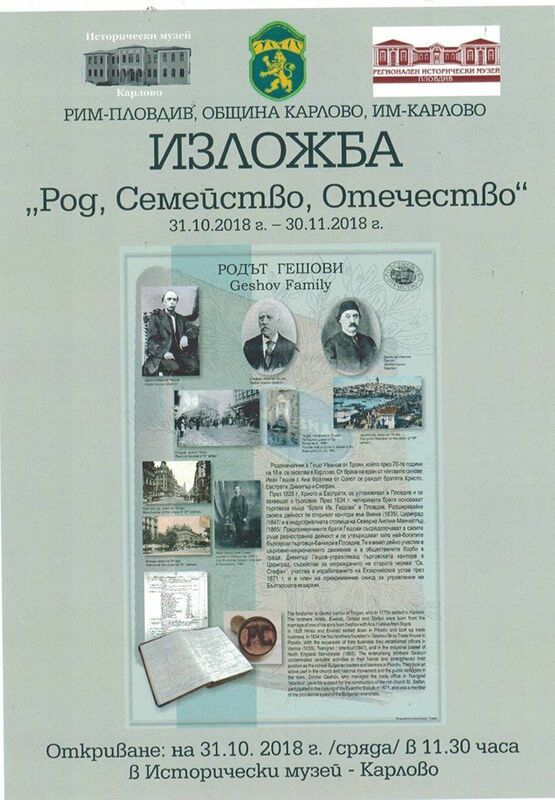 There you will discover the history of the Apostles native town, the town of roses and braids, the heart of economic and religious awakening and the birthplace of some of the most prominent Bulgarian enlighteners, authors, benefactors and builders of the nation. Karlovo Museum of History is listed in the 100 National Monuments under number 44a.